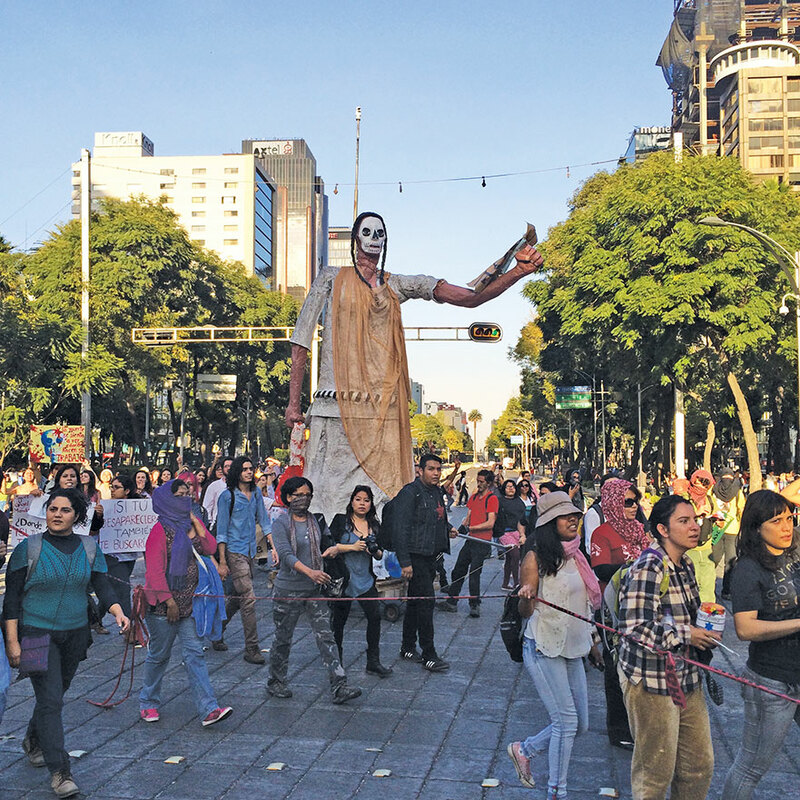 I happened to be in Mexico this fall when a series of marches, protests, and actions took place in response the disappearance, in late September, of 43 students from Ayotzinapa. 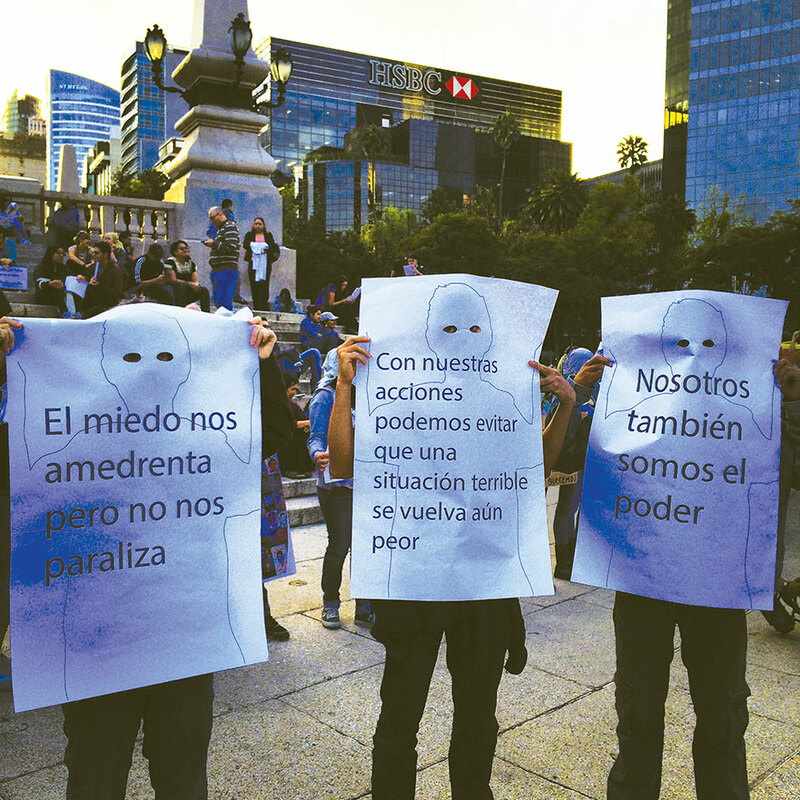 The US media was slow to cover the attack on the students, the discovery of their likely remains, and the eventual arrest of local police and officials, but in Mexico these events have dominated the headlines. 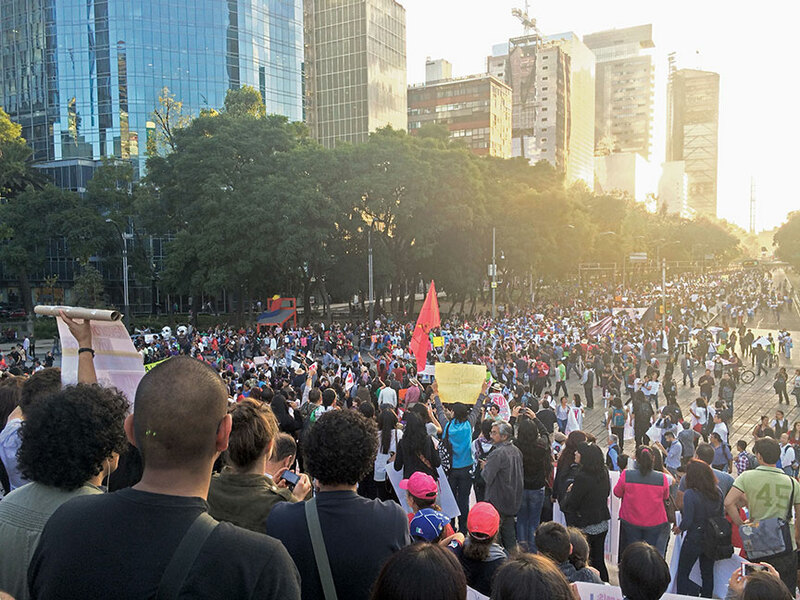 The pictures here are from the megamarch in Mexico City on November 5 involving several hundred thousand demonstrators and lasting from around 3pm until well after midnight. The images hardly capture the demands for justice and accountability coming from the marchers. Students, workers, artists, poets, and families joined from the surrounding neighborhoods. The photographs feature a slim selection of the signs, paraphernalia, poets with bullhorns, blindfolded activists, towering marionettes, and more. Many businesses shut down not for fear of looting or violence but so that workers could join the demonstration. 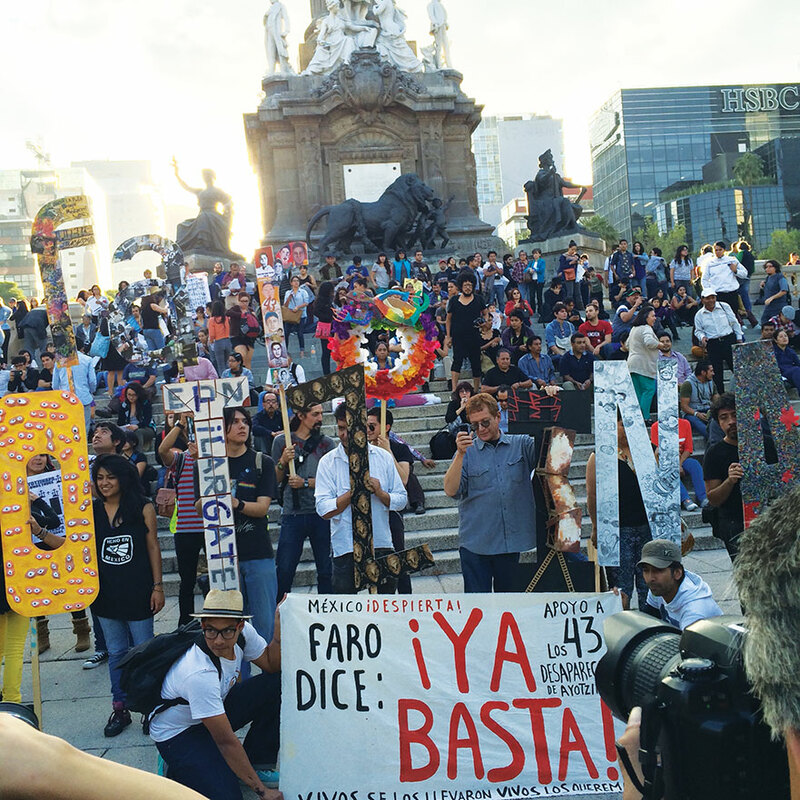 One frequent rallying cry was to count off one to 43 in unison and then shout “Justicia” (justice) at maximum volume. 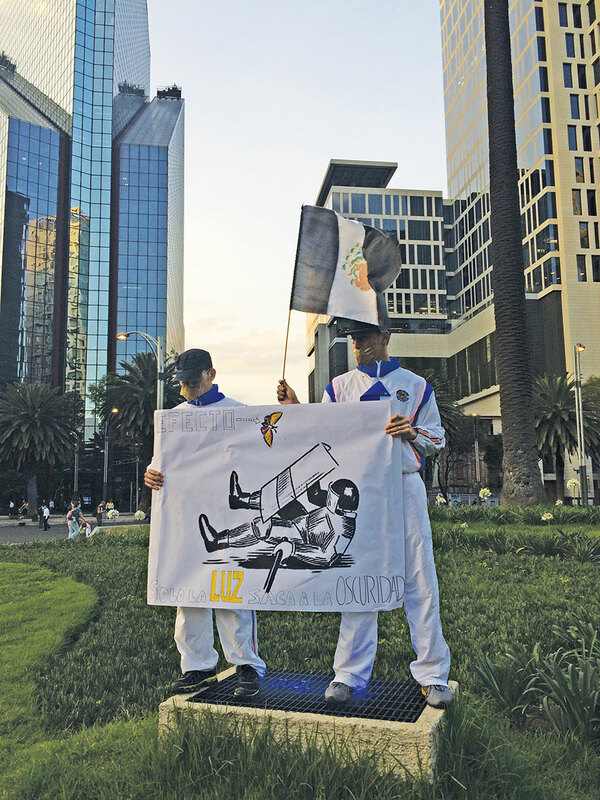 The pictures here start from the occupied traffic circle at El Ángel de la Independencia and snake up both directions along Paseo de la Reforma toward the Zócalo. The level of public outrage was rightfully high, but it was also an entirely peaceful march. I did not see a sign of police presence for the seven hours that I was on hand, although crackdowns did take place at subsequent demonstrations, and numerous activists have been detained since.